The maintenance on a sand-based warframe must be a nightmare. I think it's safe to say that Warframe has far exceeded expectations in the years since its 2013 release. Through a steady clip of tweaks and content updates, Digital Extremes has managed to craft the world's premier space-ninja simulator, and just a straight-up fun game. They're celebrating these three years of success in a couple of ways, so let's get right into it. 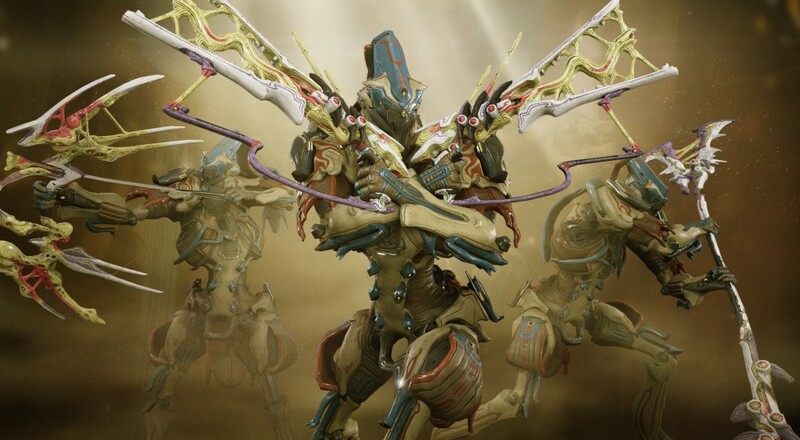 First off, the "Sands of Inaros" update has made its from PC to Xbox One and PlayStation 4. Starting today, console players can explore the hypothetical, "what if the Egyptians made it out to space and were also super cool robots?" 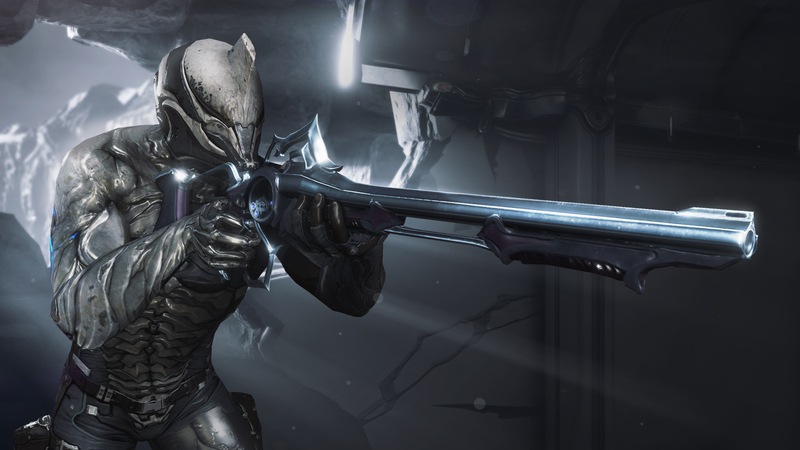 This update brings with it the game's latest warframe, Inaros, who specializes in stealing his enemies' health via his control over sand and scarabs, or space-sand and space-scarabs, if you prefer. The Orokin Moon tileset has also been revamped and expanded to include new tiles and mission types. Finally, the Lesion, Mutalist Cernos, Dual Toxocyst, and Staticor weapons are now available for your dismembering pleasure. Along with this new update, Digital Extremes has offered console players a chance to expand their weaponry, just for logging in! Any gamers (sans PC users, who have already received this benefit) logging in between today at 2 p.m. ET and April 15th at 2 p.m. ET will receive the Dex Sybaris (pictured above), a lever action rifle that'll feel right at home in the hands of you sharpshooting types. Players will also receive both of the previous anniverary gifts as well, the Dex Furis and Dex Dakra, just to prove that the developers care. It's tough to argue against at least checking Warframe out, given that it's free and steadily receiving new content. If you haven't yet, maybe consider gathering a four-person crew and wading into its online, gun-slinging, slide-tackling co-op. Page created in 0.3087 seconds.